Contact me today to find out how I can best work for you! Working with buyers and sellers in Northern Michigan area for so many years gives John the heads up on your real estate needs. 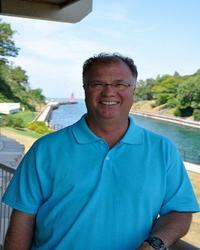 John graduated from Charlevoix High School which gives him that local knowledge of the Charlevoix and the surrounding area. "John has returned our calls very promptly, is knowledgeable with real estate procedures and has gone out of his way to help us get our new home."